This tutorial will review the process of changing the password for the administrative user on your CubeCart website. This is a good feature that allows you to change the password regularly for better security on your account. 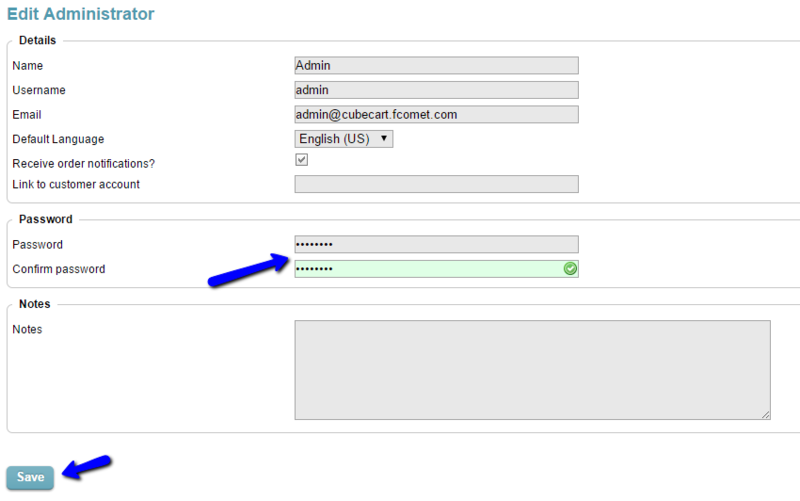 To change the admin password in CubeCart, you first need to log in as administrator. Locate the Settings section and then click on the Administrators option. The system will list all admin users on your website. Click on the name of the user that you wish to change the password for. You will be able to change different information about the admin user, such as name, email, etc. Locate the Password section and enter the new password that you wish to apply for the user.